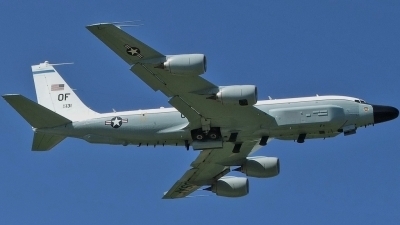 RC 135W 62-4131 departs Mildenhalls run way 11 calling HAWG 95. 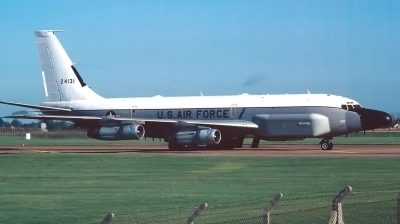 HAWG 95 on the under run,runway 11 RAF Mildenhall. 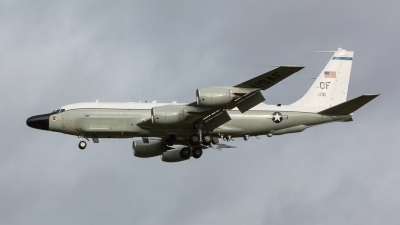 RC-135 coming back off mission landing runway 29. 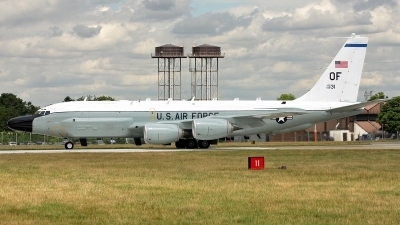 "131" takes the underun runway 11 RAF Mildenhall on another "classified" mission. 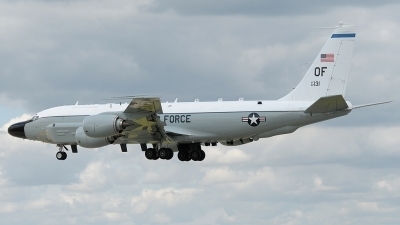 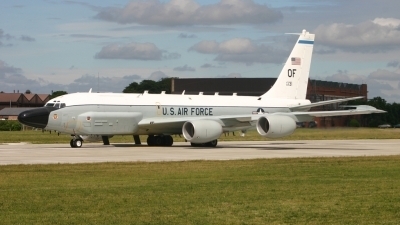 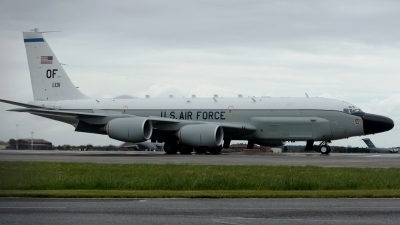 RC 135W 62-4131 "SHAGG 20"returns to RAF Mildenhall from a training mission. 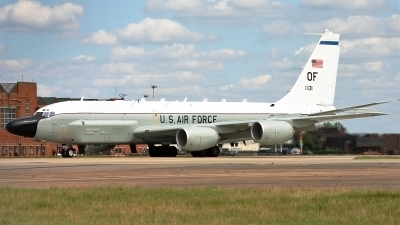 38th Reconnaissance Squadron, 55th Wing, Offutt AFB, Nebraska. 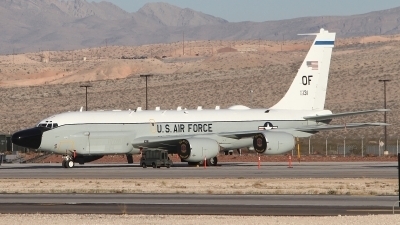 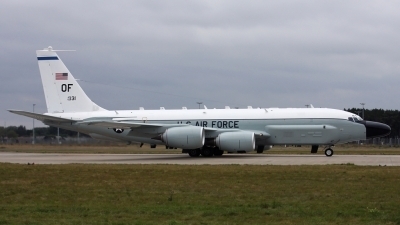 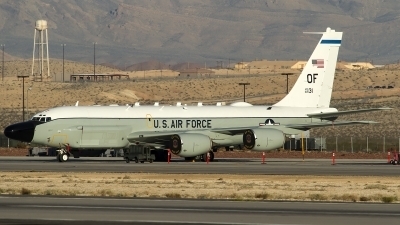 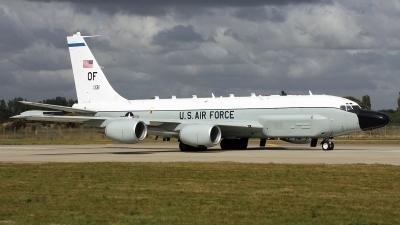 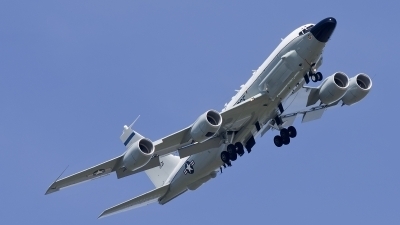 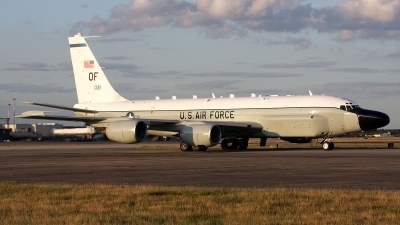 Boeing RC-135W departing runway 11 at MHZ.